Can you believe we are celebrating 10 years of Model Team?! Yep it’s true and we are now accepting applications for our Class of 2020 Team. We are casting for our NEW elite team of teen influencers - camera loving, social media savvy, fashion finding, style spotting, marketing minded High School Juniors that would love to be part of our new Studio B Model Team! This hands-on thrill ride of an opportunity will have you modeling in front of the camera, making friends, rocking your personality on video, highlighting trends, sharing your story on social media and learning real world skills while having a great time! If you are (or know) a High School Junior, Class of 2020 student that would be smiling at the screen right now in anticipation of being the face of Studio B Seniors...keep reading! Our favorite models come from all different backgrounds and interests from DECA to sports, theater to music but the one thing that they have in common is a great attitude! WHAT DOES A STUDIO B SENIORS BRAND INFLUENCER DO? Please include how we can find you on Instagram and Facebook. Seriously? Had NO idea he did this! Thank you to our in-house hair and make-up lovely, Erin for making me feel so pretty!!! In case you are wondering, YES... I absolutely spent hours on Pinterest looking at fun poses but the husband had his own idea of what would be photogenic. Some worked... some were just freaking hilarious... all of them are making their way into my book! READY TO SCHEDULE for your Couples Experience Photography Date? Contact us now. Our cutting-edge corporate clients know the value of having contemporary imagery that matches their unique business branding. We recently had the opportunity to work with Fjuri - a marketing consulting firm based in Pioneer Square in the heart of downtown Seattle. It is such a privilege to work with people who value their employees' and customers' experience so highly; it truly translates to every interaction they have! Having your professional corporate portraits taken on location in your office space is a fabulous way to capture the spirit of your business and create relevant images to be used for your website, blog, and other marketing endeavors. We just love the personal touch that comes from shooting in your work environment! The other awesome perk of corporate photography for our Studio B Team is meeting amazing professionals at the top of their game. We were fortunate enough to have time with Human Resources pro Tammy Perkins and bend her ear about personal branding that we can share with you! "As someone working in marketing and with industry professionals, I can say that your brand is who you are and what people think about you when you walk out of the room. Present yourself in a way where you don’t appear to be a staged house! I often see people put together their LinkedIn profiles, and I meet them in person and they are completely different. What I would tell people is to be absolutely, 100% yourself. Through photography, there are different ways to represent yourself in a way that is authentic. Present yourself in away that shows your passion, your curiosity, and that’s when you’ll shine. " 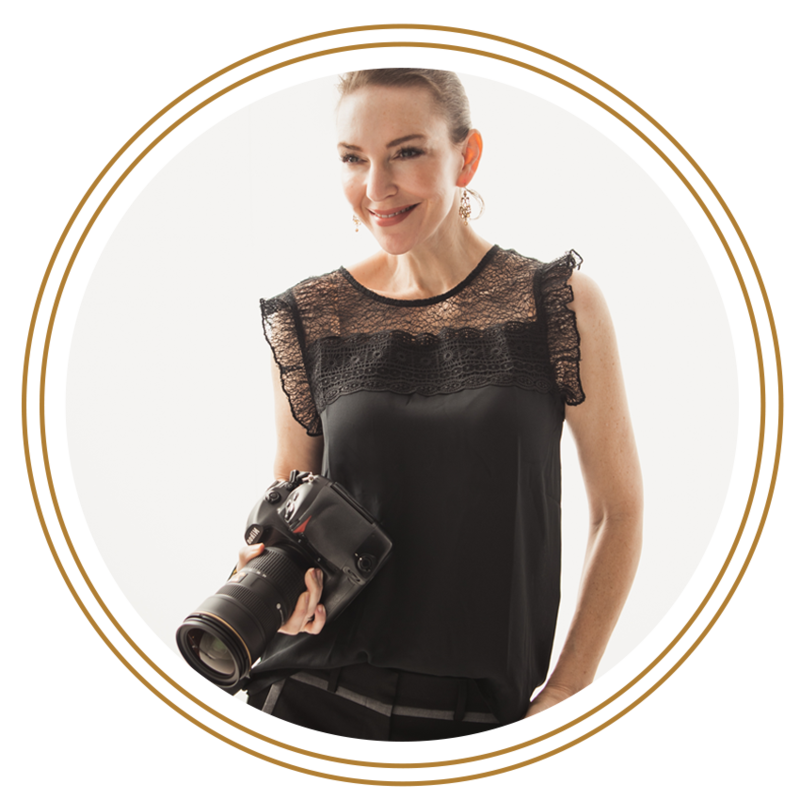 Whether you're looking for formal, business casual, or lifestyle images, take a look at our headshot portfolio to be inspired! Follow us on Instagram and Facebook to stay up to date on the latest and greatest happening at the Studio! What comes to mind when you envision the most perfect family portraits? Aside from wanting it to be a joyful and confidence building experience for each of your family members, we know that you have a dream and we want to make that picture in your head become a treasured memory you can showcase on your wall and display in your home! 1 | Style stretches from head to toe. Now is the time to get the whole family standing in front of the full length mirror and focus on all of the little details that will add a polished look to your wardrobe styling. Fellas, this can mean including your favorite watch or coordinating the right socks with your shoes. Ladies, consider painting your nails or popping in with your favorite jewelry pieces. 2 | Don't underestimate the power of camera ready hair and makeup. Every day beauty styling does not read the same way on camera as it does to our eyes. We rave about our style partners not just because they are fabulous and fun, but they work magic in the world of photo shoot prep! By factoring time with our hair and makeup artists into your shoot day, not only will you look like a million bucks, but you'll feel relaxed and ready to work it for the camera! 3 | Collaboration is key. You've been dreaming about the perfect portraits, and our photography team is excited to be included in your journey! Sending us snapshots of each person's wardrobe and communicating your vision is essential for allowing us to design a photo shoot that allows your dreams to become a reality. For more family portrait inspiration, check out our Instagram or Facebook page! We all know that the weather isn't always on board with our creative vision (...typical Seattle weather mood swings...), but don't let that hold you back! Our state of the art studio allows us to move forward with no fear of Mother Nature. Check out the details of our exclusive Holiday Family Portraits K.I.S.S. event special going on right now! Shout out to @TCMmodels Hannah & Anastasia and the entire @SorellaSalon team. Thank you @425Magazine ...just love working together.